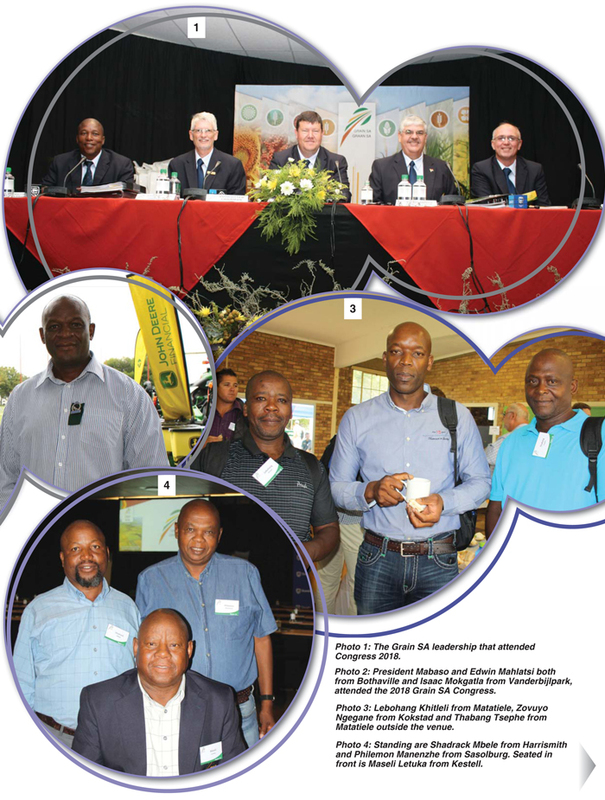 The annual Grain SA Congress of delegates gathered at NAMPO Park in March. The Fanie Ferreira venue was filled with the buzz of happy reunions. 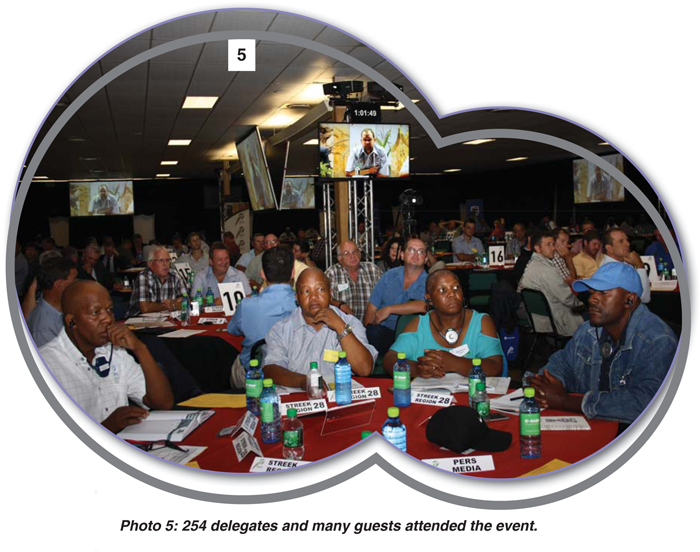 Chairperson, Jaco Minnaar delivered his Annual Report and the year’s activities were highlighted in a visual presentation. Minnaar said it had been a challenging year but also noted that there had been record harvests and this was reflected in the levy income to Grain SA which had reached record heights. The Chairperson then said that Grain SA says ‘NO’ to ‘Expropriation Without Compensation’ (EWC) and ‘a new society cannot be created by reproducing a repugnant past’. Grain SA continues to oppose the motion recently submitted in parliament to change the South African Constitution which would enable EWC. The proposal was followed by a difficult discussion which saw emotions running high. Victor Mongoato, past Vice-chairperson of the organisation, said that the developing farmers could not support the motion in its entirety so they had to oppose the motion and stated that they support the standpoint of AFASA on EWC. Mr Maseli Letuka from Kestel added that developing farmers did not wish to participate in a vote on the matter. It is true that the spectrum of opinions and emotions was wide but as Guy Butler wrote in his poem ‘A Prayer for all my Countrymen’ – here and there a heart stayed warm, a head grew clear. What made a lasting impression on me were the voices calling for careful consideration of a sensitive matter. Mathews explained his conviction that land reform is possible within the existing constitution so no changes were necessary if government implemented within current law and said he feared that tampering with the Constitution creates a dangerous precedent. Others, both black and white, spoke of the long way farmers have come as neighbours and friends, of the goodwill that exists between them and called for calm. Grain SA recognises the need for, and supports land reform and transformation in South Africa. Grain SA also recognises the need for a thriving and prosperous grain sector to sustain and enhance food security. Grain SA must and will continue to advocate for and aspire to the handover of title deeds to the beneficiaries of Land Reform. Grain SA will as a matter of urgency, seek out and engage with the ruling party and make every effort to reach consensus on all aspects of this matter. Until such time as consensus is reached the current Constitution is upheld. Mongoato seconded the new motion with appreciation saying: ‘We are in this together’. Minnaar expressed his thanks for the valuable conversations that led to a unanimous acceptance of the motion. Prof Fred Below from the University of Illinois spoke on ‘The seven wonders of grain production’– weather, nitrogen, hybrid, previous crop, plant population, tillage and growth regulators. He said increased yields require higher plant populations, the right hybrid and better crop nutrition. Ronald Jetten of COFCO spoke about the international export opportunities which we need because South African maize production is higher than consumption which puts a downward pressure on prices. If we want to keep growing maize we have to find markets so our prices improve. Prof Guy Midgely talked about ‘Climate resilience’. He said whether we believe it or not climate change is a reality and we must empower ourselves by finding new ways to farm better in a changed climate. He encouraged farmers saying there is still time to prepare and we must look at soil management, pest management, and cultivar selection. He advised farmers to learn to use climate prediction information. Brand Pretorius retired CEO of McCarthy Motors spoke about ‘Leadership’. We are all leaders on our farms and in community. Leadership is not a right; it is a responsibility. We earn the right to lead. To lead is also to serve. ‘Before you ask a hand, you need to touch a heart.’ ‘Leadership is about care: You can be bold, but not a bully; you can be gentle, but fearless; you can be rigorous about results, not ruthless about people; you can be gentle, but fearless and kind, without being weak.’ He said that leaders are torch bearers of hope and reminded us that Nelson Mandela said, ‘Hope is life itself’. Hope is a doing word and leaders must stand for the truth and do the right things right! Revitalise agriculture in former homeland areas. 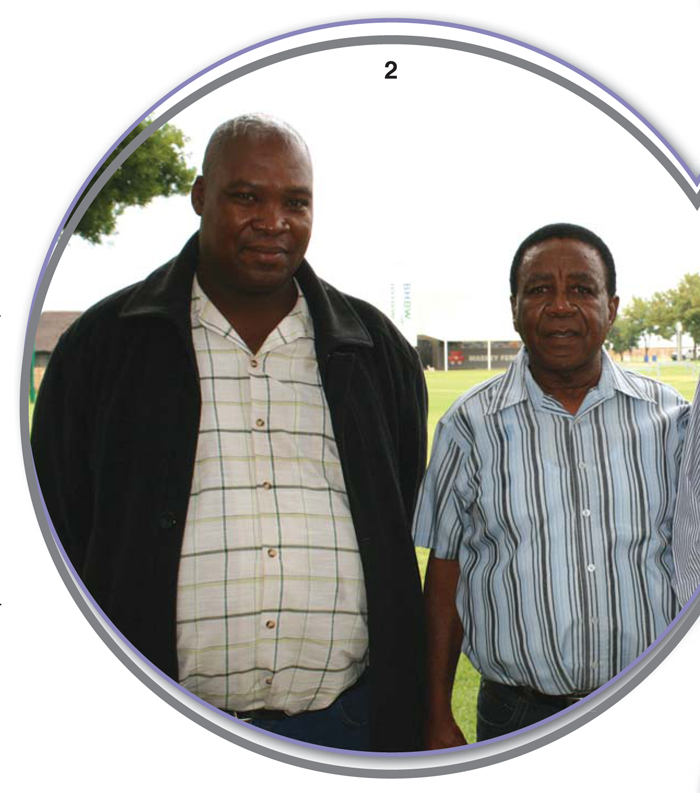 Prof Karaan said he is encouraged by the work Grain SA Farmer Development has been doing.